We’ve already talked about how even the best game developers or franchises are often mired by some poor releases that put them to shame. But with hundreds of games being released on a weekly basis, there are also brilliant games that fail to get noticed. In fact, several of these games became sleeper hits proving their worth over time. With this been said, please check out our list of some great yet unknown games from highly popular franchises. Despite of close competition with rival franchise Street Fighter, MK stood the test of time becoming one of the greatest fighting games ever. However, their attempt at spin-offs wasn’t that successful with horribly bad games namely MK Mythologies: Subzero and Special Forces. This could be only possible reason why their 3rd spin-off ‘Shaolin Monks’ didn’t interest a lot of gamers. But to their surprise, Mortal Kombat Shaolin Monks was a superb game that re-tells the events between the first and second MK games. While it had some issues with camera angles, MK Shaolin Monks was a fun game that captured the spirit of the original series in a beat em up, mission game. The original Resident Evil was definitely a classic that spawned an entire generation of action/survival horror games. Although the original game was iconic in its own right, its superb Gamecube remake was overlooked. The Remake was not just a graphical update, but also added several new moves, enemies, areas and also removed any funny dialog that plagued the original. The game’s low popularity might also come from Nintendo Gamecube’s mild success against Sony, despite the former’s superior graphics capabilities. While Splinter Cell Pandora Tomorrow remains as one of the best games in the series, not a lot of people give credit to the sixth release. Splinter Cell: Blacklist was released in 2013 for all major platforms including Windows, PS3 and Xbox 360. But despite positive reviews, a lot of fans loathed it to be too action oriented compared to the stealth heavy predecessors. Despite that, Blacklist is definitely a fun and challenging game and incredible replay value. The only reason why a Metal Gear Solid game didn’t attract a lot of attention is it’s PSP only released that kept it distanced from many gamers. It retains similar gameplay mechanics as Metal Gear Solid: Snake Eater and the free 3d camera as in Subsistence. MGS Portable Ops, serves as a sequel to Snake Eater and follows the story of Naked Snake as he faces off against his former military unit, FOX. It was the first game to introduce the ‘recruit’ feature that allows enemies to be captured and turned into allies. Definitive game to play if you’re looking for a wholesome MGS experience on a handheld. You might be shocked to find a Mario game in this list, but the second Mario game certainly couldn’t top the popularity of the first. While the first game was all about a side-scrolling platformer, Super Mario 2 added puzzle elements to the mix. Also, enemies cannot be killed by simply jumping over them and must be killed by using various objects found in-game. In addition to the new gameplay, players could also select their characters from a roster that included Mario, Luigi, Princess Peach and Toadstool. The side-scrolling run and gun games soon met their demise with Contra falling out of favor. Nevertheless, SNK managed to capture the iconic game’s spirit and added their own spin on things with Metal Slug. While gameplay remained similar to Contra series, the added humor and incredible character sprites made Metal Slug games truly iconic on their own right. The 7th installment of this game however, was criminally overlooked despite of being the best in the franchise. It featured an all-star roster with all the funny moments that made the game popular. 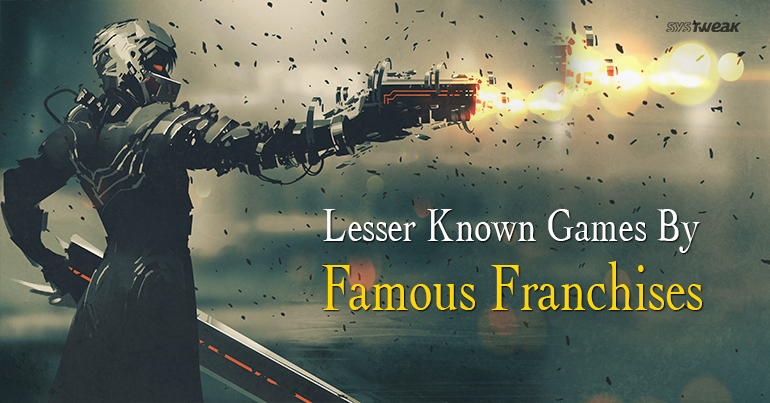 Some gamers might argue that some names aren’t underrated. Nevertheless, they couldn’t become as famous as their contemporaries at the time. In case you feel we missed out some obvious picks, please feel free to add your suggestions in comments.